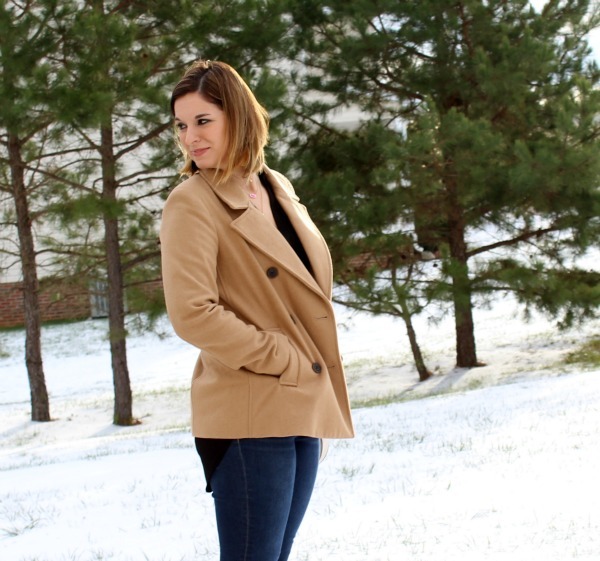 When it comes to style, there's really nothing more classic than a camel pea coat, a black tunic, and leopard heels! These are three staples that aren't trendy and will always be in style. I like to invest in items that I know I can wear for many years, not just this season. My black tunic is on sale for only $25 + free shipping and it comes in other colors as well. It runs true to size. I have worn mine so much and it's such a versatile piece that can be dressed up or dressed down. Classic and versatile is a must! P.S. Heels on ice/snow really wasn't my smartest idea ever but the good news is that I did not crash. Now that's a win! These pictures are gorgeous Emily! Are they with your new camera? 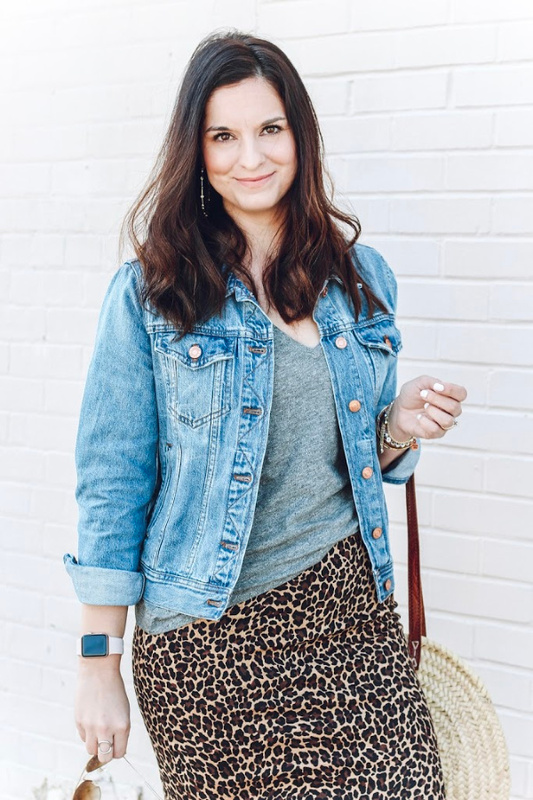 Love the leopard with the camel and black, super chic.